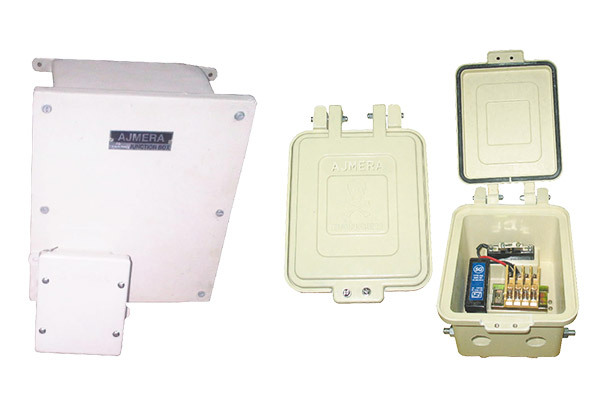 "AJMERA" weatherproof & water tight Junction Boxes and Pole Boxes are available in various sizes as per clients requirements. 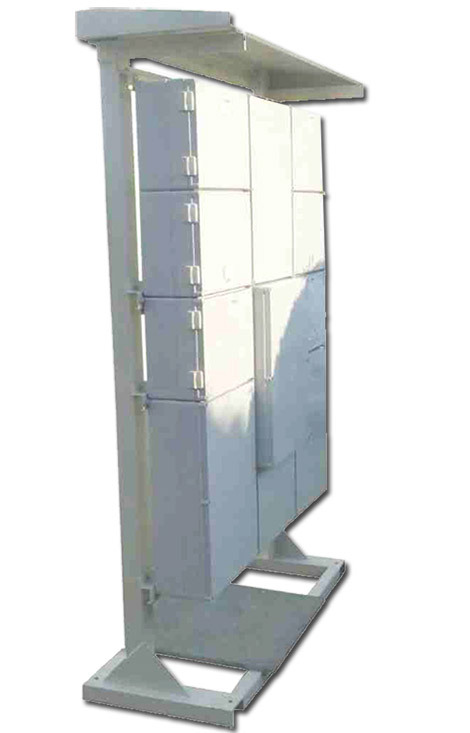 Our boxes are available in die cast Aluminium body / FRP / Thermoplastic & CRCA fabricated as per specification & requirements. 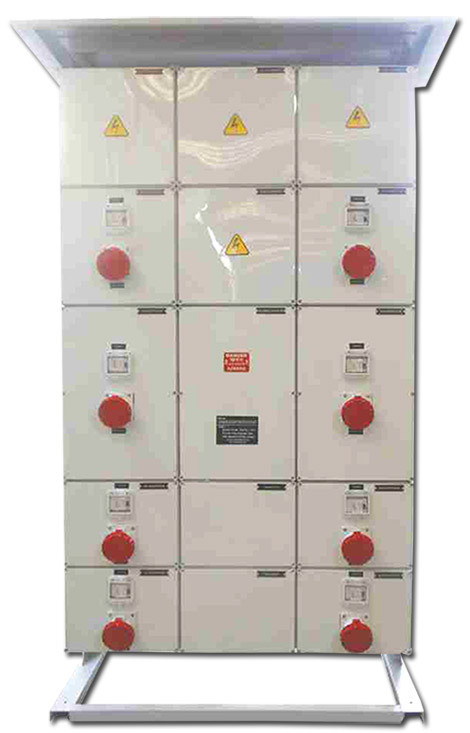 Boxes can be used for the following applications like : Street Light Pole Box, Switch / Socket, Local Control Station (STOP / START, ON / OFF) , Instrumentation Box, LED Light Fittings Distribution Box etc. Mounting for FRP / Thermoplastic Boxes, metal /plastic strips are provided for Mounting on Pole / Flat Surface. 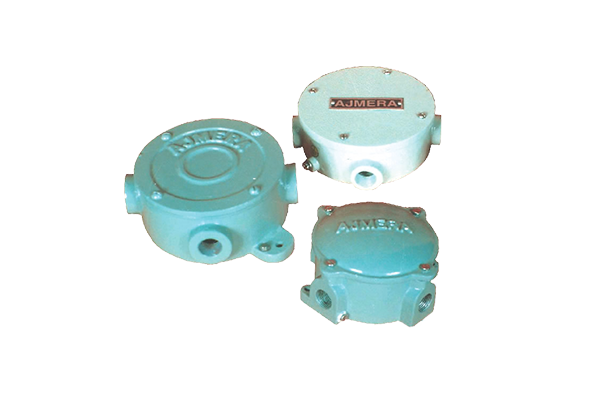 "AJMERA" make FRP / Thermoplastic boxes are non-corrosive, very high mechanical strength. No effect of chemicals, Fumes. 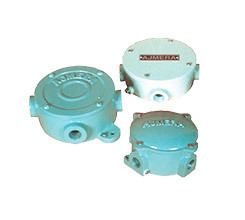 A maintenance free product and in practice one calls such a thing "INDESTRUCTIBLE"
Note: We are also manufacturing Junction Boxes in Brass/Stainless Steel specially for Pharma Industries, Nuclear Power Plants, Refineries, Mines etc. as their requirement is different then the regular need.